I personally love the holidays, but that love usually starts after all the “school stuff” is done and over with. The month of December is stressful for every average Joe, but add in report cards, school programs, assessments, kids missing school for early vacations, assemblies, and the extra boost of energy students have and you’ve got a recipe for a stress-filled holiday season! On top of our everyday teacher duties, we’ve got to cram in all our outside lives’ holiday duties like decorating and fighting crowds at the mall for this season’s “it” toy that our sons or daughters must have. It’s hard to fully enjoy the holiday season if you are barely staying afloat at work and adding things to your to-do list faster than you can cross them off. That is why this step is focused on spending some time preparing for the holidays during the summer. 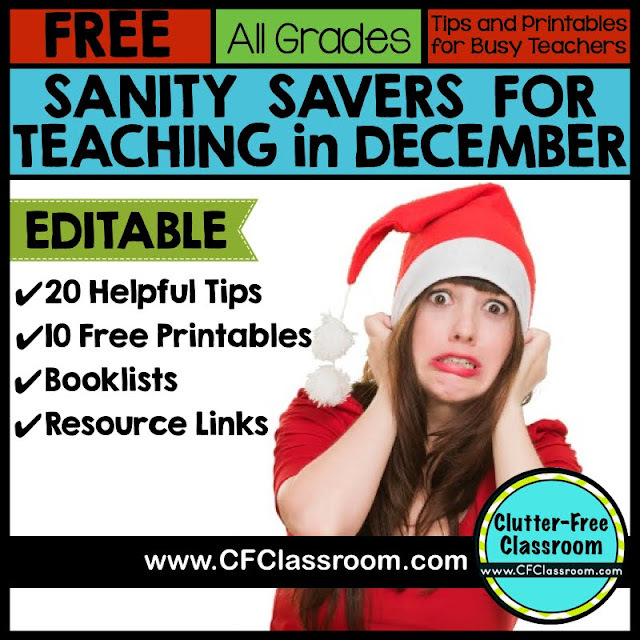 While I don’t suggest putting up your Christmas tree this week, there are plenty of things you can do now to make the holiday season far less stressful and much more enjoyable to you as a teacher when the time comes. Create updated mailing labels for your holiday cards. If you prefer to hand-write them, get envelopes and write all the addresses on the cards. If you send photoless cards, or if you like to use a picture taken during the summer months you could even get the cards 100% done and ready to drop in the mail. Make a list of everyone you plan to buy a gift for and jot down some ideas for presents. Doing this now will enable you to find better deals and come up with more thoughtful gifts than a last minute gift card. Buy and (if you are feeling ambitious) wrap as many gifts as you can at this time. If you don’t have holiday wrapping paper, just buy a solid red, green, blue, or a brown craft paper. If you are hosting Thanksgiving, you can explore recipes (can you say Pinterest?) and create a shopping list. Store it digitally on your computer or on your phone so you don’t lose it. If you’re planning to have a holiday party, you can make invitations and plan recipes and decor or activities/games for it. Speaking of decor...you know all those Pinterest crafts that you pin and never make? Well, now is a great time to actually make one. Plus all the arts and crafts you do can be very relaxing! If you give your colleagues or students a small holiday gift, you can prepare those now as well. Stock up on holiday decor AFTER the holidays! This won’t help you now, but will help you cut down on some preparation stress for the following holiday season. Wrapping paper is always left over at stores like Target or Walmart for 75-90% off a week or two after Christmas. The same happens with decor (lights, inflatables, caroling stuffed animals) and if you stock up after the holiday season, you’ll avoid the stress that comes with purchasing them all right before Christmas when you’re trying to manage everything else. 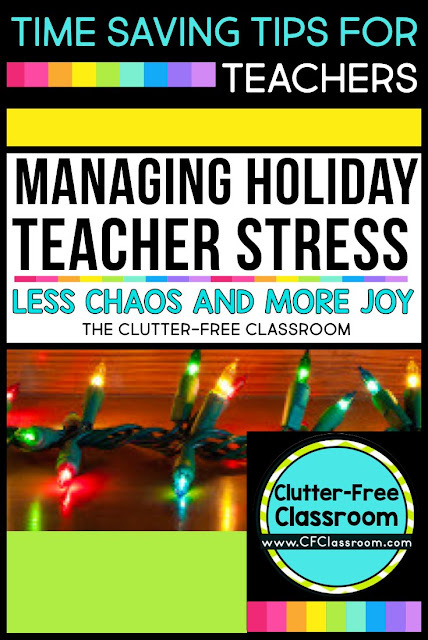 I actually have an entire FREE eBook I wrote for teachers that is filled with more ideas for teaching during the crazy, chaotic time right before the holiday break. In it, you'll find tips and useful printables to use with your students.